I have disappeared for a while, but my hands were not idle. I whipped up a long waited quilt for my godmother. Actually it is me who is thinking to give her something, she was not expecting anything at all - she is too modest to wait such things from anyone. Last time we met I asked her to check out my pinterest and choose something from my pins to see her preference. She said something simple and not too white and opted for a storm-at-sea in blues greens grays. 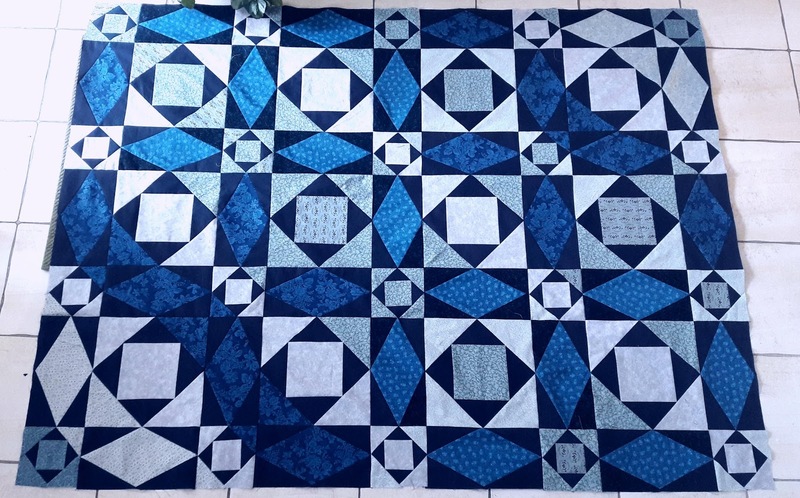 I did not want to discourage her and explain that it may look simple, but in practice it is far from an easy one - so I went through my stash, did the math, and I finished the top in a week. 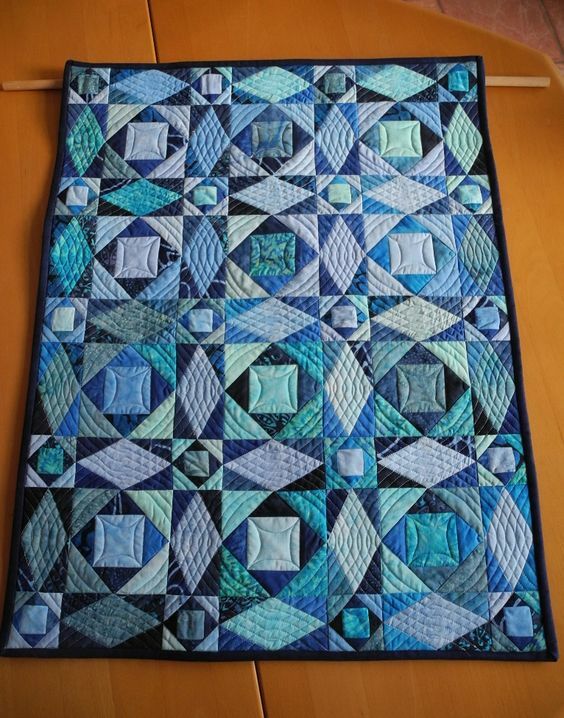 My version, no batting/binding/quilting yet. In reality it is much greener and a lot less grey, but my photos are a washed out. Maybe it is time for a new phone having a better camera? Csodaszép! Tényleg olyan, mint egy hullámzó tenger.